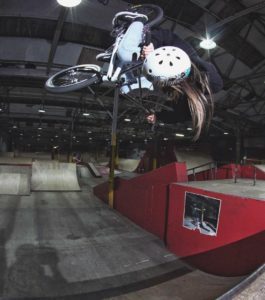 Team GB BMX riders confirmed for Skate Ramp - Printwear & Promotion LIVE! : Printwear & Promotion LIVE! PAG Leisurewear has confirmed that two Olympic Freestyle Team GB riders will be taking part in the new Skate Ramp feature area. Charlotte Worthington and Jack Clark are part of the Team GB BMX Freestyle programme as the sport makes its Olympic debut in Tokyo 2020. Both riders are busy training for the Olympics and so taking part on the Skate Ramp will be welcome practice for the pair. The Skate Ramp can be found on stand L20. « Seek inspiration from new equipment launches at P&P LIVE!